Finally! An effective workout that’s fun and energetic! Secret tip, trampoline jumping: Playfully lose weight and get in shape with HAMMER Cross Jump Fitness Trampoline with Jumping Points (pat.pend.) and training video. 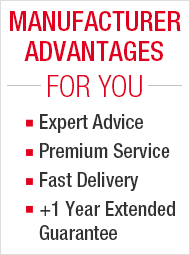 Compared to practically all other sports, trampolining consumes more calories and burns up fat at an accelerated pace. Depending on intensity, regularly jumping on the fitness trampoline burns up to 1200 calories per hour. Trampoline jumping simultaneously trains some 400 muscles in the abdomen, stomach, arms and thighs. 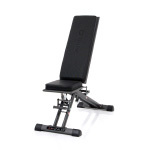 The high-quality rubber spring suspension minimizes stress to your joints. 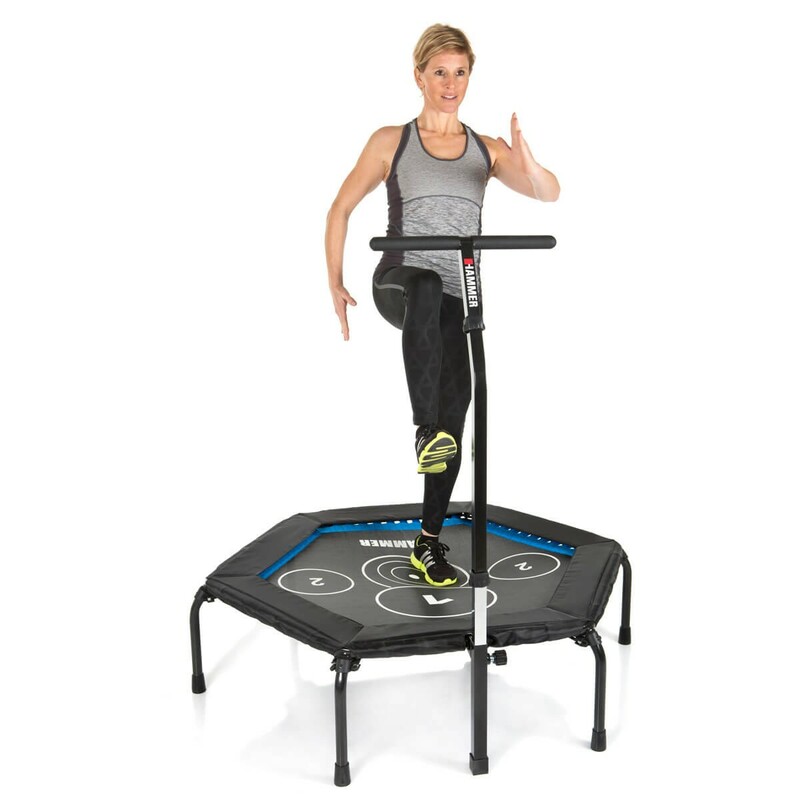 Fitness trampolines are recommended by professional athletes, physiotherapists and organizations such as NASA: Rebound Exercise. 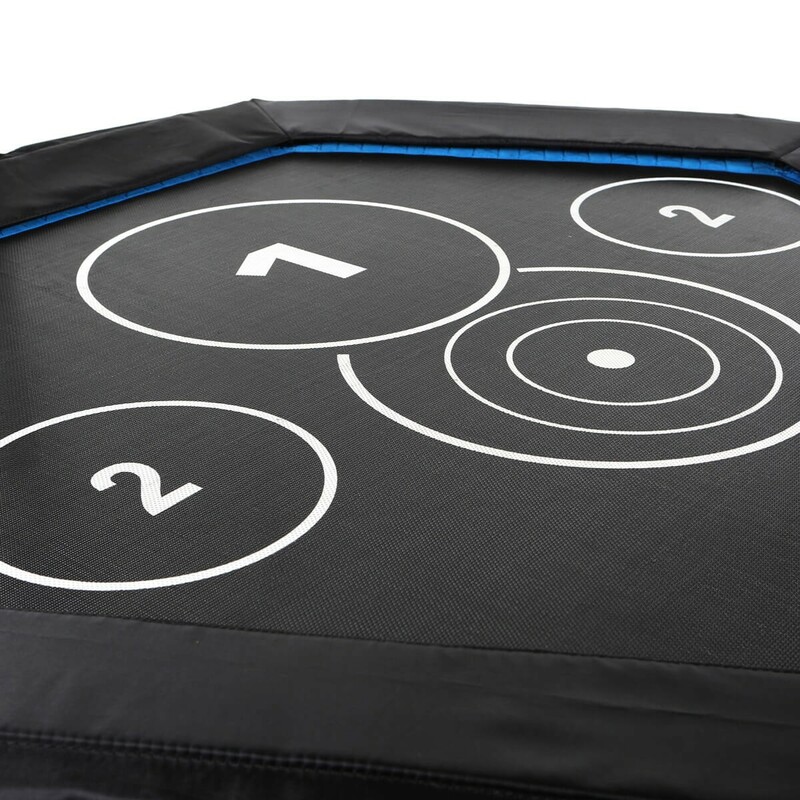 The HAMMER Cross Jump Fitness Trampoline's innovative Jumping Points (pat.pend.) 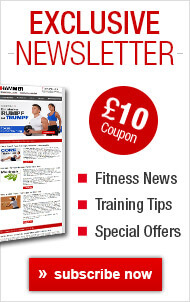 provide the perfect training incentive and make a workout even more effective. 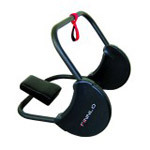 Unlike conventional trampolines, the circular markers help facilitate a perfect exercise sequence and training choreography. Maintaining a consistent, regular step and exercise sequence on the jumping points greatly increases calorie consumption and helps you more quickly achieve your training goals. 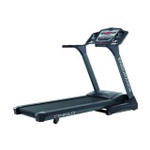 The adjustable T-bar with handle ensures maximum safety during high-intensity training. 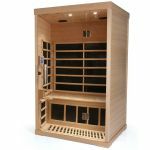 This is important for beginners and the older generation, who especially need a feeling of safety and stability when working out. 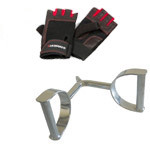 The handle makes it easy to perform faster or more challenging exercise sequences. 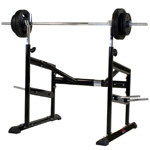 Advanced users with more experience can use the T-bar as a support or to bounce off of during their movements. 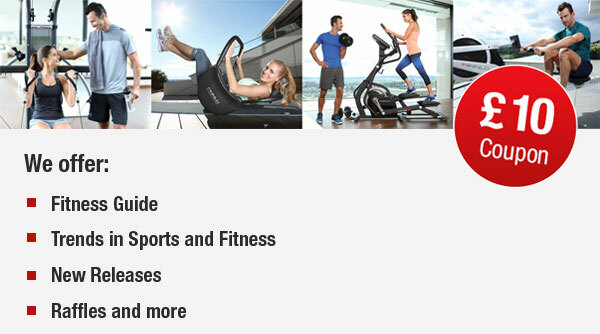 Fitness training that's a whole lot of fun! Training on the trampoline is one of the most effective workouts overall, delivering maximum success in short amount of time. 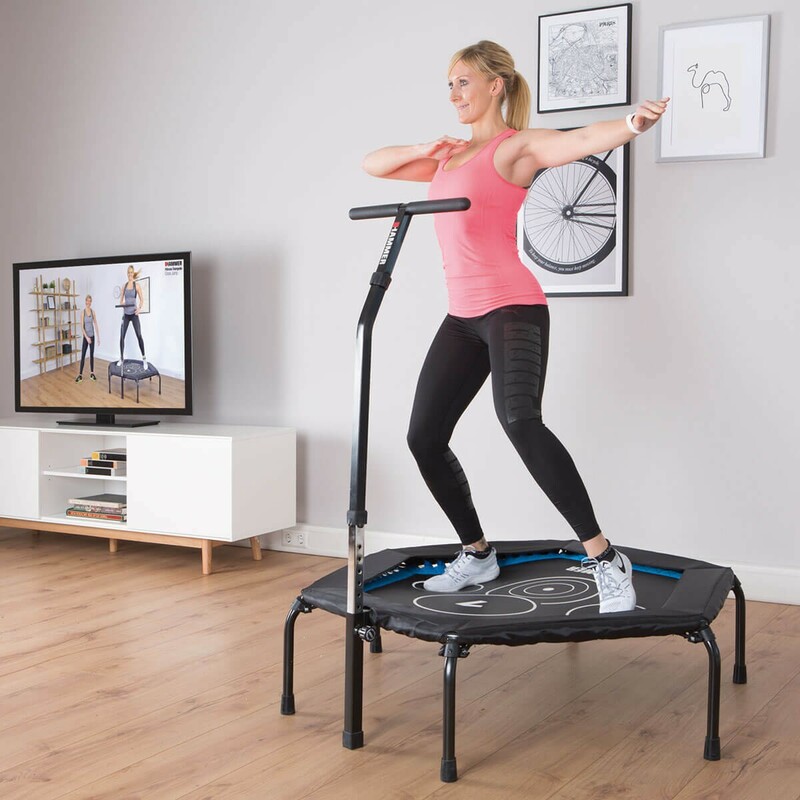 The HAMMER Cross Jump Fitness Trampoline is the perfect training device for home use, requires little space and offers very high, long-lasting training motivation because it is simply so much fun. 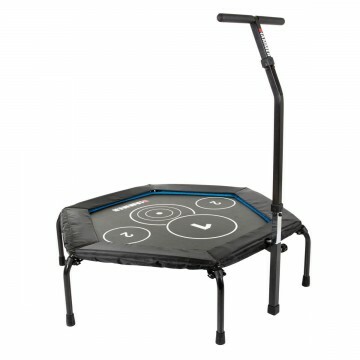 Trampoline jumping is also very effective and burns calories at a very high rate. The numbers speak for themselves: Jumping on a trampoline requires the use of 400 different muscles. 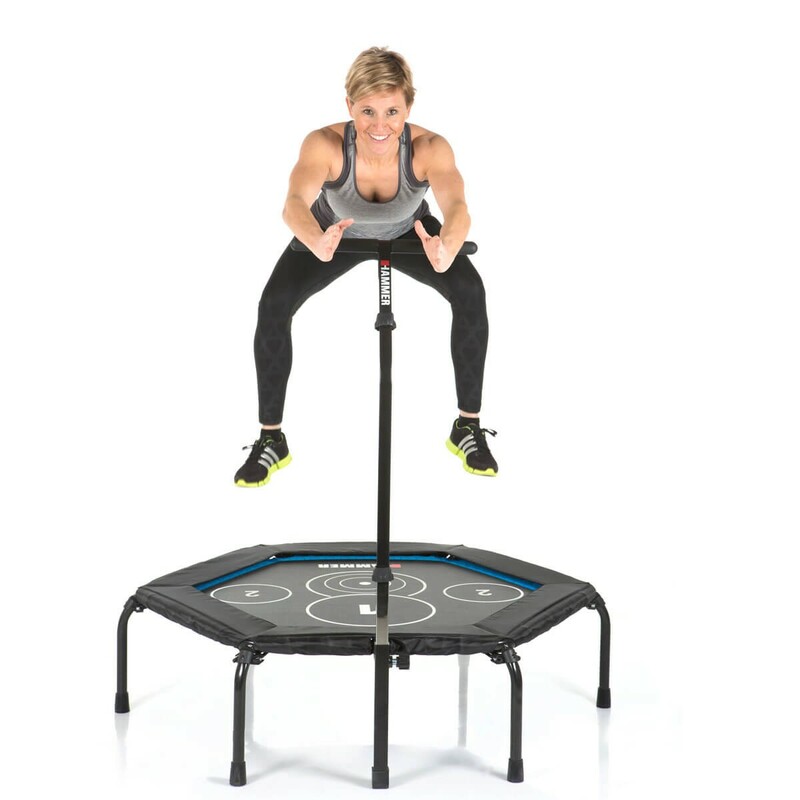 A 10-minute trampoline workout has a similar effect to a 30-minute run. 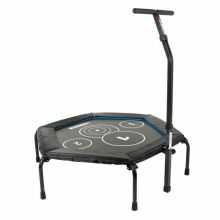 Thanks to flexible trampoline material and the elastic cords, training on the mini trampoline really minimizes stress to the joints. 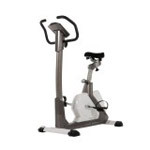 Comfortably workout at home, no matter the weather or time of day. Jumping fitness on the trampoline sets new standards in holistic training and involves the entire body. 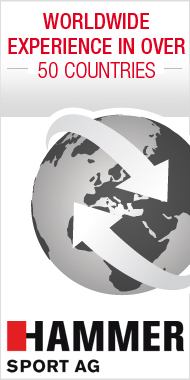 The continuous interchange between strain and relaxation develops endurance, strength, movement and balance. 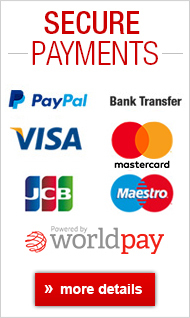 Jumping strengthens the whole body musculature and is the perfect way to stimulate the circulatory system. Trampolining is suitable for both young and old, requiring no prior knowledge, and lets the user decide how intense the workout should be. 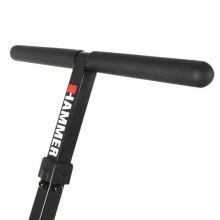 The HAMMER Cross Jump built-in T-shaped handle guarantees a very safe workout and also offers stable support during big jumps or fast exercise routines. Because of its high capacity to support heavy loads, the trampoline is the perfect fitness device for quickly losing weight. 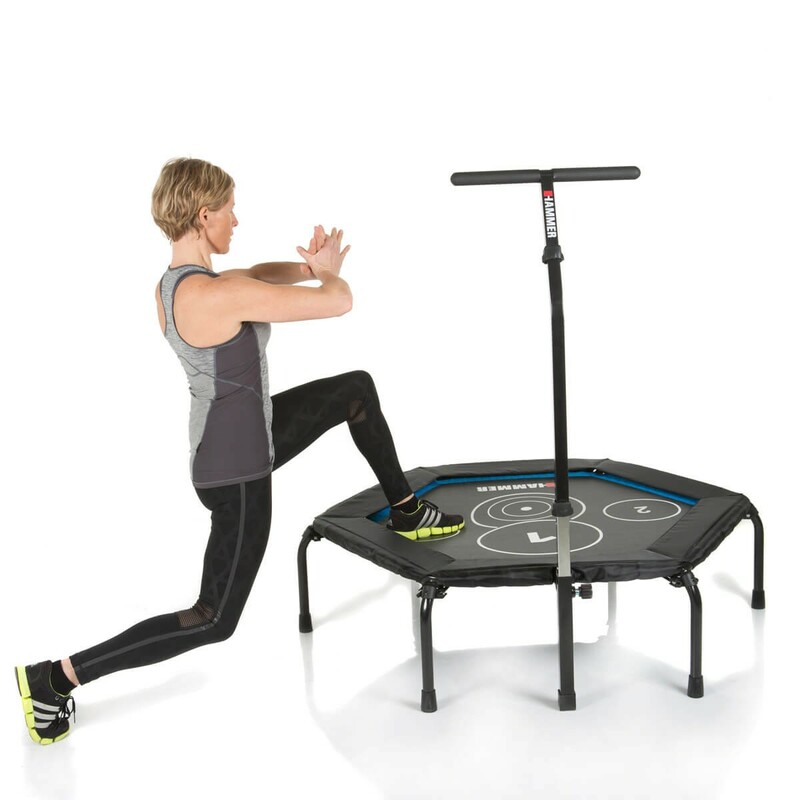 Toned buttocks, defined upper arms, slender legs or strong abdominal muscles – training on the HAMMER Cross Jump Trampoline lets you target any of these fitness goals and do so while having fun. 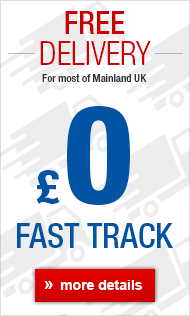 Trampolining trains the legs, buttocks and body midsection. Use small hand weights during trampolining to involve the upper body and arms, or extend the arms outward during the up and down movements. Very forceful, strong jumps are the ultimate for working the buttocks muscles. 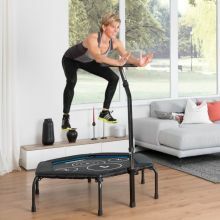 And by the way, you'll be burning up to 1200 calories per hour, making a trampoline workout a great way to lose weight. 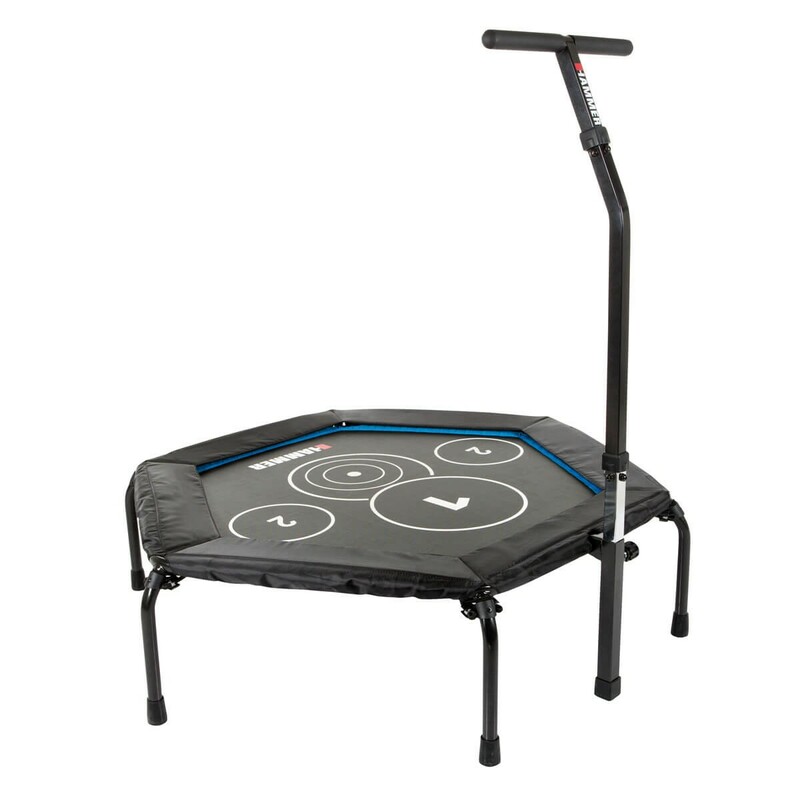 Trampoline jumping also promotes coordination and concentration. The generous jumping surface with an ample, comfortable 98 cm diameter and the innovative Jumping Points (pat.pend.) means regular exercise on the HAMMER trampoline is like having an effective trainer partner with a high level of fun. 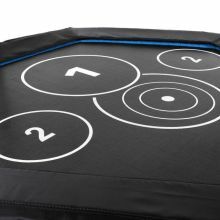 The Jumping Points, those circular markings on the jumping surface, provide better orientation during jump combinations and make training sequences easier to perform. The Jumping Points make it easy to learn jumps and techniques and get beginners off to a great start. The highly elastic and durable cords on the HAMMER Trampoline provide maximum swing, maximum height and optimal jumping characteristics. 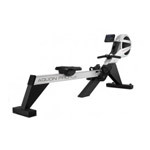 Such features mean the user can calibrate the jump intensity and decide how high or low to jump and with how much force. The high-quality materials of the HAMMER Cross Jump Fitness Trampoline also minimize additional noise, minimize stress to joints and guarantee long durability. The HAMMER Trampoline is equipped with a practical T-neck grip that can be adjusted to 8 different positions to perfectly adapt to various body heights. 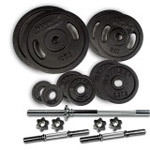 The T-bar makes it possible to maintain balance, even during more intensive workouts up to the maximum stress load, making a workout highly effective and safe. 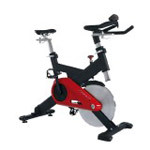 In addition, the T-bar gives the user more control over speed, jump direction and body posture. 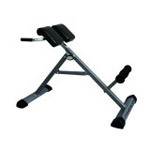 The ergonomic, hexagonal format is compact in size, 120x130x35 cm, and only weighs a total of 10 kg. 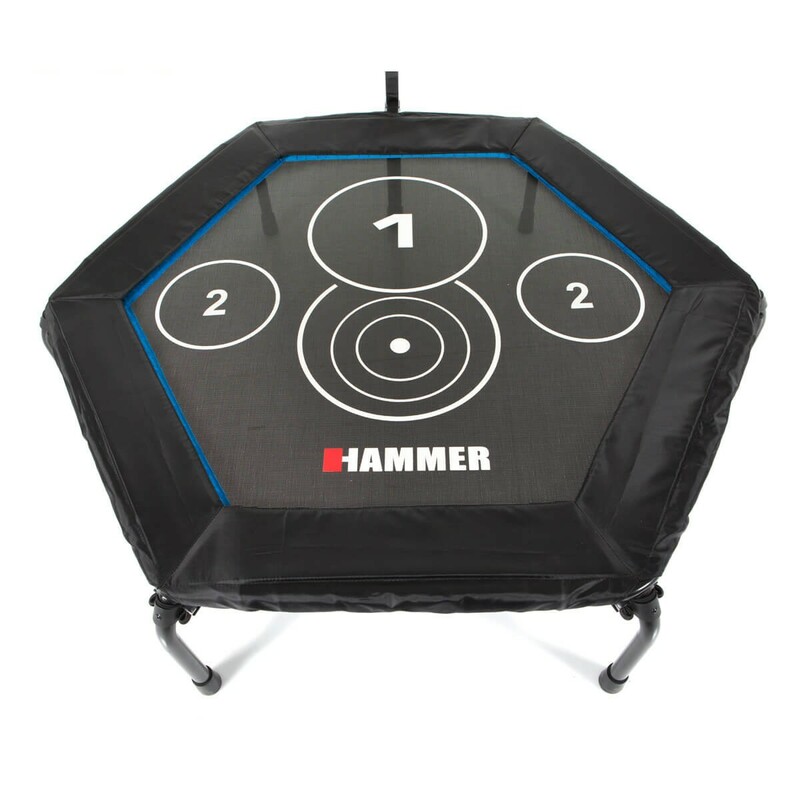 The HAMMER trampoline also fits into smaller spaces. 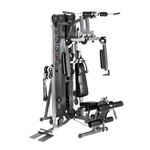 Easy assembly means it can be set up in a snap and is ready for use right away. The HAMMER Trampoline offers professional training on par with a fitness studio. 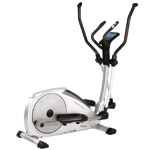 The excellent quality of this premium fitness machine is evidenced by the high-quality materials, the sophisticated design and advanced technical features. 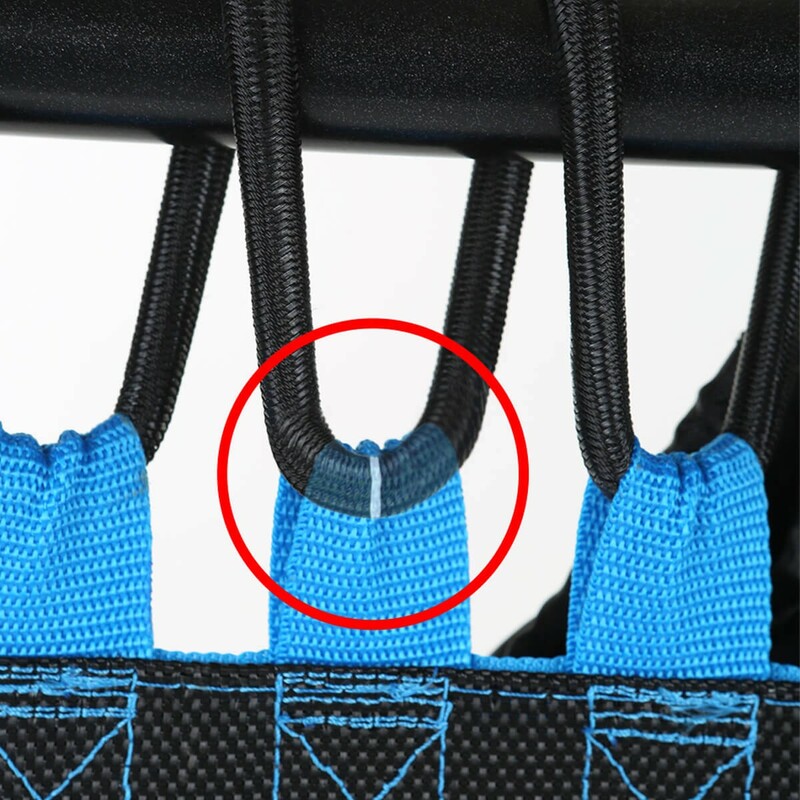 The additional cover on the edge makes trampoline jumping extra secure. 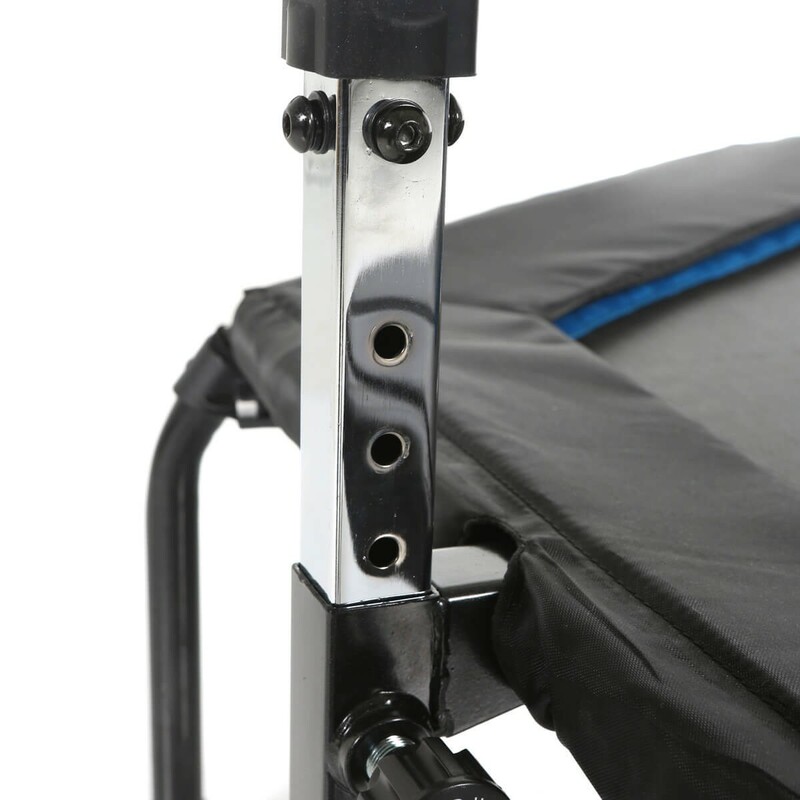 The slip-resistant rubber caps on the support legs also enhance the trampoline's ease of use, making it absolutely safe and stable, softening noise and vibrations during training, and protecting the floor. Trampoline fitness on the HAMMER Cross Jump offers the perfect full-body workout for burning calories at an extremely high rate, the ideal way to lose weight. It is easy to integrate a workout into your daily routine, any time, anywhere – During TV viewing, phone calls or as a creative way to take a break from the home office. The trampoline is also the perfect prep for a ski holiday by practising classic ski gymnastics on it.